I get it–single serve coffee is easy and convenient. But it can also be extremely wasteful and bad for the environment. Not anymore! Thanks to this sustainable single serve coffee maker and their recyclable coffee pods you can now make one cup of coffee at a time AND have it be organic, Fair Trade Certified and Sustainable. Did I mention this coffee is pretty cheap, too? And their eco-friendly pods work in Keurig machines, too. Read on for the scoop! This post is sponsored by Intelligent Blends. All thoughts and opinions are my own. 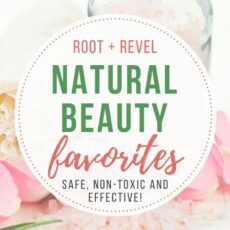 Thank you for supporting the brands that make it possible for Root + Revel to provide free content and healthy living inspiration. It’s a joke my friend made a few weeks ago and I can’t stop thinking about and cracking up to myself. I’m sure a lot of you can relate. Can you imagine a morning without coffee? Having to attend meetings or get the kids ready for school or brace traffic or go to the gym without that dependable buzz? For a long time, I couldn’t either. I seriously started drinking coffee as a child–I was that toddler ordering cappuccinos after dinner. You know the one…what? no? It was just me. Damn! But seriously, even before I was 5 feet tall, I always loved the sweet, rich taste, the intoxicating aroma, the way that trendy Starbucks cup felt in my hand as I walked to school. And for nearly 25 years, I would tout how amazing it was that caffeine didn’t affect me. I could drink a cup of coffee at 9 pm and still fall asleep no problem. I could drink 4 cups before noon and not feel the least bit jittery. It was great, since I was fully, unabashedly addicted to coffee. But earlier this year, my anxiety started to get the best of me and so I made a few lifestyle changes–I started meditating, going to yoga regularly, seeing a therapist and ultimately cutting out caffeine. I know. It sounds crazy. But as it turns out, caffeine did personally affect me. Coupled with the anxiety I already had, caffeine made my heart and mind race. You can still drink coffee without caffeine. Yeah. Decaf coffee is a real thing and, spoiler alert, it tastes exactly the same as regular coffee. It also turns out that I was really drinking coffee every day because I just love the taste, and I love the ritual, not because I need the energy boost or the buzz. Decaf for the win! I share this story because I wanted to be honest about my journey with caffeine in case any of you also struggle with anxiety. Experiment with cutting it out/switching to decaf coffee and see how it affects you. Every body is different and every one metabolizes and processes individual food/drink differently. So it may or may not work for you. And you may be one of the lucky ones, like my husband, who caffeine doesn’t turn into a jittery, nervous, nauseous lunatic (??????? ?‍♀️, hi, that’s me on caffeine!). More power to you, drink up! OK, that may have been the longest preamble to a coffee post ever, but I am nothing if not wordy. Let me get to the point. I love coffee, you probably love coffee, decaf and regular can both be great choices. However, not all coffee is created equal. And not all coffee makers are either. I’ve run the gamut on coffee makers, trying everything from the classic drip coffee maker to French Press coffee and a whole host of single serve coffee makers. And I’ll be honest, as much as the foodie in me would like to say that grinding beans fresh every morning and using a fancy pourover coffee carafe is worth the hassle, mornings are busy enough as it is and sometimes I just want to push a button and have a hot cup of coffee appear. Enter the single serve coffee maker. We all know it, we all probably hate how much we love it. But the truth is, single serve coffee makers are just too darn easy and convenient. That’s why I’ve made the switch to Intelligent Blends Universal Single-Serve Brewer. 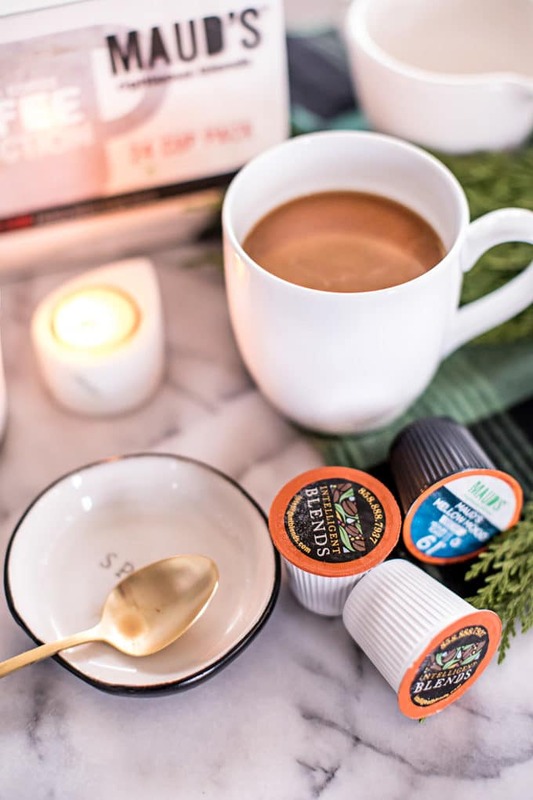 Not only is this single serve coffee maker compatible with all types of K-cups® (2.0 and 1.0) as well as Unlicensed pods and refillable cups, but they have their own line of recyclable coffee pods, which is a total game changer. Why switch to recyclable coffee pods? Here’s the deal: The best estimates say the Keurig pods piling up in landfills in 2014 would actually circle the Earth nearly 12 times. 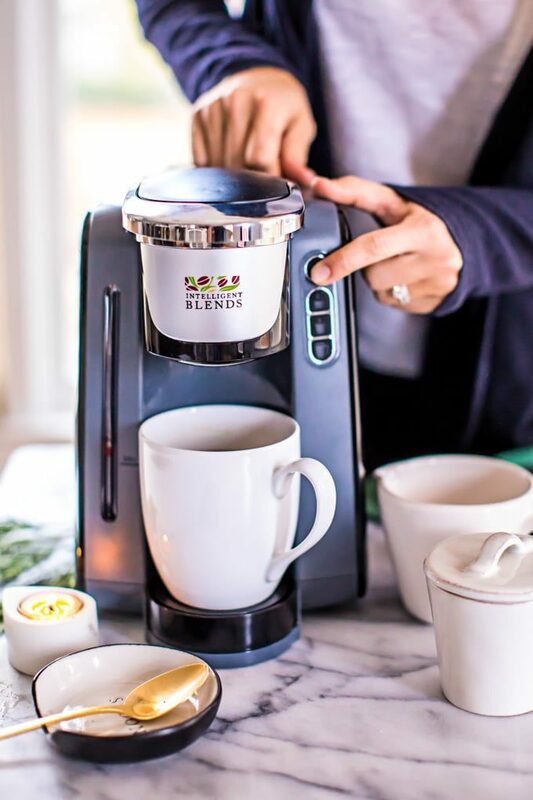 It makes sense–Keurig Green Mountain sold 9.8 billion pods in 2014. And 20+ billion pods are estimated to be consumed in 2017. And while Keurig claims their pods are recyclable, that’s only true if you are willing to disassemble them into paper, plastic, and metal components…which kinda defeats the purpose of using convenient single serve coffee pods in the first place, right? Surely there has to be a better solution that’s just as efficient but not nearly as wasteful, right? Turns out, there is! And Intelligent Blends‘ founder, Michael Ishayik, found it! Fed up by the amount of waste being created by the single-serve coffee pod industry, Ishayik set out to find a way to make pods that satisfied the need to be sustainable, safe, and effective. Here’s how it works: Intelligent Blends‘ pods are made from an advanced proprietary blend of #5 Recyclable Polypropylene plastic AND the capsule has a moisture/oxygen barrier that is up to 10 times less permeable than typical kups/pods (read: keeps coffee super fresh and shelf-stable for up to 2 years), which are not recyclable. In plain English: you can recycle Intelligent Blends’ pods. While most Recycling Centers will accept the whole pod since coffee or tea is itself compostable, there is a lid you can peel off the top of their pods so you can dump the coffee first. But it’s not required. 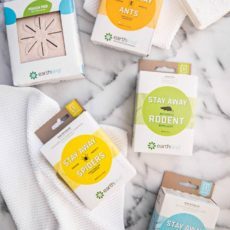 These recyclable coffee pods not only reduce GHG emissions by up to 30 percent, but they’re also made with biodegradable filters to ensure consistent taste, no messy grinds, and no wasteful byproducts. And, and, and they’re made in the USA and can be used in any Keurig® or K-Cup® as well as standard Nespresso® machines. 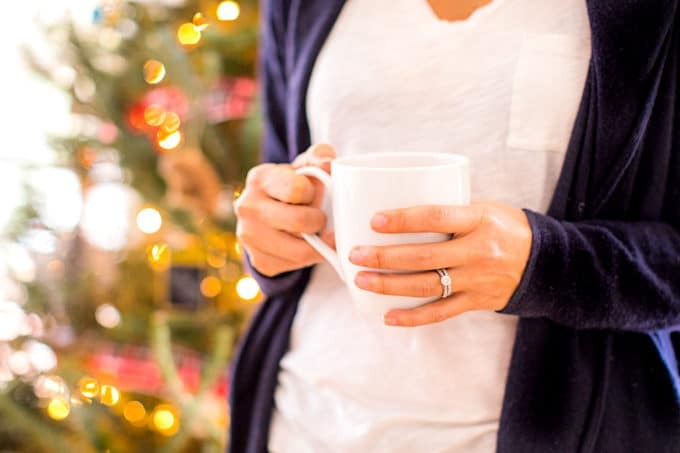 Cue the hallelujah chorus: coffee and tea lovers can still enjoy the convenience of single-serve beverages without sacrificing our commitment to being ecologically sound! The good news doesn’t stop there. Intelligent Blends also surpass the current industry standard in Fairtrade and Organic single serve options. After learning all about the best coffee and teas, Ishayik teamed up with a 5th generation roast master to create their very own line of products called Maud’s Righteous Blends, which is premium 100% Arabica coffee beans, micro-batch roasted, as opposed to commercial roasting in bulk, and sacrificing quality. Maud’s coffee is also Fair Trade Certified, which means they’re committed to the empowerment, economic development, social development and environmental stewardship to farmers and workers around the world. And, relatively speaking, it’s pretty cheap, too. Single Serve coffee pods are pretty pricey. Did you know that K-Cups sell standard coffee grounds for around $40 per pound? It’s true–Keurig’s pods cost around $0.55 to $0.73 per pod. Compare that to Intelligent Blends’ coffee pods, which are $0.39 to $0.44 per pod. And they’ve got a Subscribe & Save option so you can save an additional 8 percent! Get Intelligent Blends’ 8-count sample pack for just $1 (limit two per person) when you shop through my link and use the code TRYBLENDS. Or you can get 10% off sitewide when you use the code RootAndRevel. These sound interesting. I wonder if they work in my Keurig? 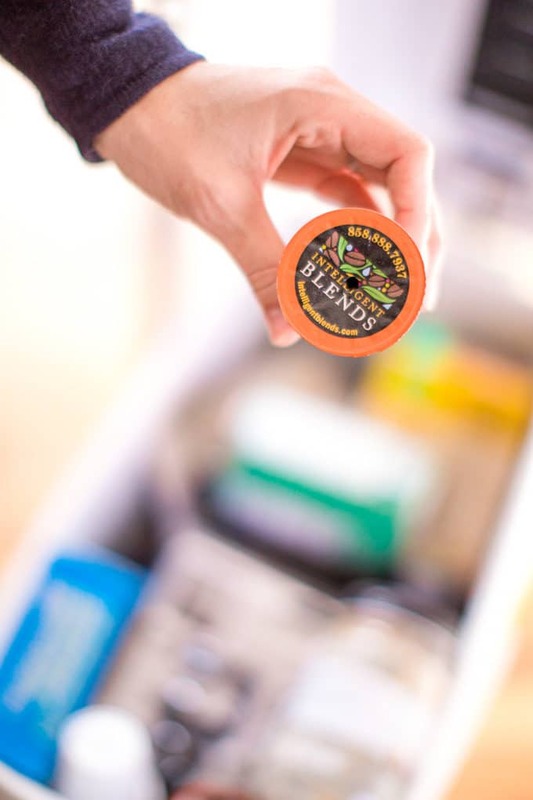 Yes, Intelligent Blends’ recyclable pods will work in your Keurig! What a great idea! I hate taking apart K-cups, so they usually just go in the trash. I hope people will beginning switching to Intelligent Blends. I love that these are recyclable. I love coffee, but it’s crazy how much waste there is because of it. Agreed! I love this solution of recyclable, high quality pods! Coffee is definitely a habit with me. 2-3 cups every morning — full strength (it doesn’t affect me) and black. I admit, I have a regular coffee maker, not the pod-kind — because I drink way too much to be able to afford individual cups… LOL! This is a good idea for those who have more willpower than me! Haha! I totally get it Lisa! I haven’t been able to drink caffeinated coffee for ages! I do enjoy decaf!! I’ve never heard of these recyclable coffee pods! And I can’t wait to try them!! That’s awesome Elaine – and I’m with ya! This is such a great read! I always thought coffee pods were ridiculously wasteful so I’m so happy to hear that there is a recyclable, fair trade, sustainable and organic option here now! I may be getting a Keurig hand me down soon so will definitely be ordering these! Thanks Sarah! I hope you get that Keurig, but if not, check out Intelligent Blends’ brewer!